I love dogs, so imagine my delight to find this Dalmatian print skirt at Target last weekend. Plus the skirt is purple, my favorite color, which makes it extra special. The fact that it was only $19.99 doesn't hurt either. Target has some great finds on a budget, and it's cool to go to a store where you can get household items, toothpaste, groceries and TV dinners for the week plus an amazing skirt. Target is truly one stop shopping at its finest. 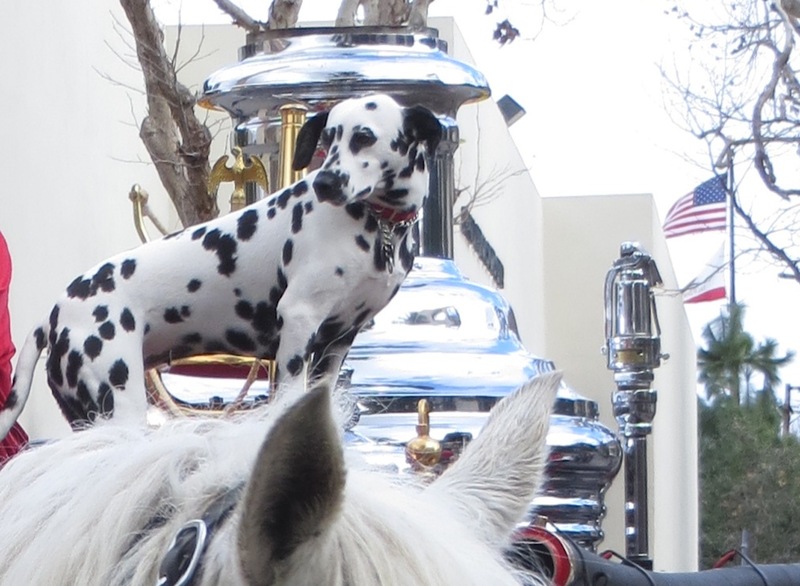 I featured a cute Dalmatian (with fire red nails) earlier in the month for my Chapman University / Huell Howser Adventure post. I am including some pictures below of that dog, who looks a lot like the ones pawing their way across my skirt. I am not sure if there are 101 Dalmatians on this skirt (I didn't bother to count) but there sure are a lot, and that should bring a smile to anyone's face! i saw that skirt in stores earlier last month and thought it was too cute - it looks great on you! Yes, I also thought it was too cute. I can't seem to resist cute animal prints this season. Thanks Laura!